A big Shout out to all the Thai food lovers! 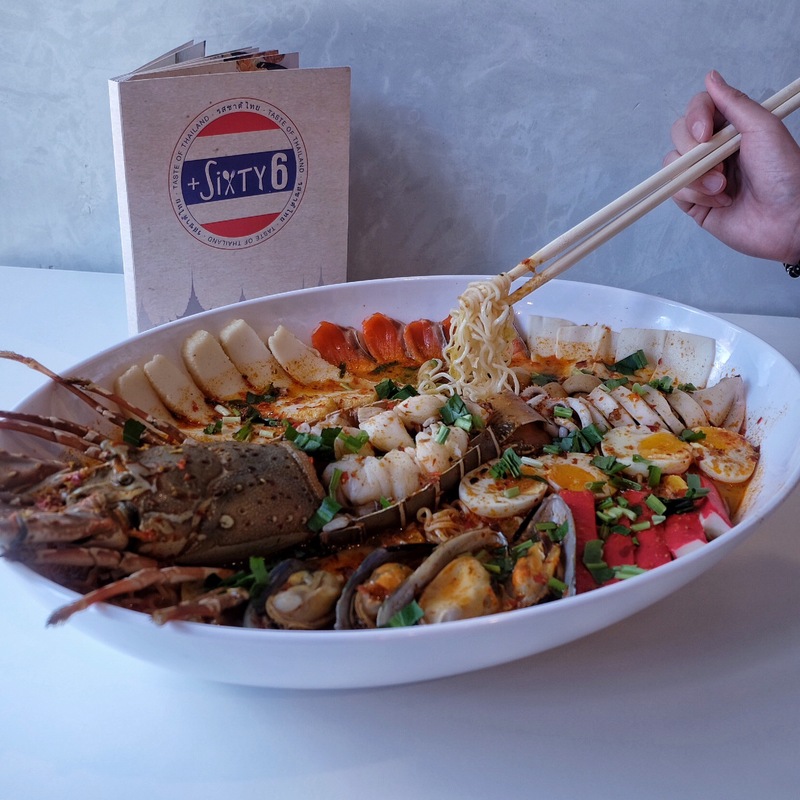 If you want to turn on your tastebuds, then you should go nowhere other than plus sixty 6! 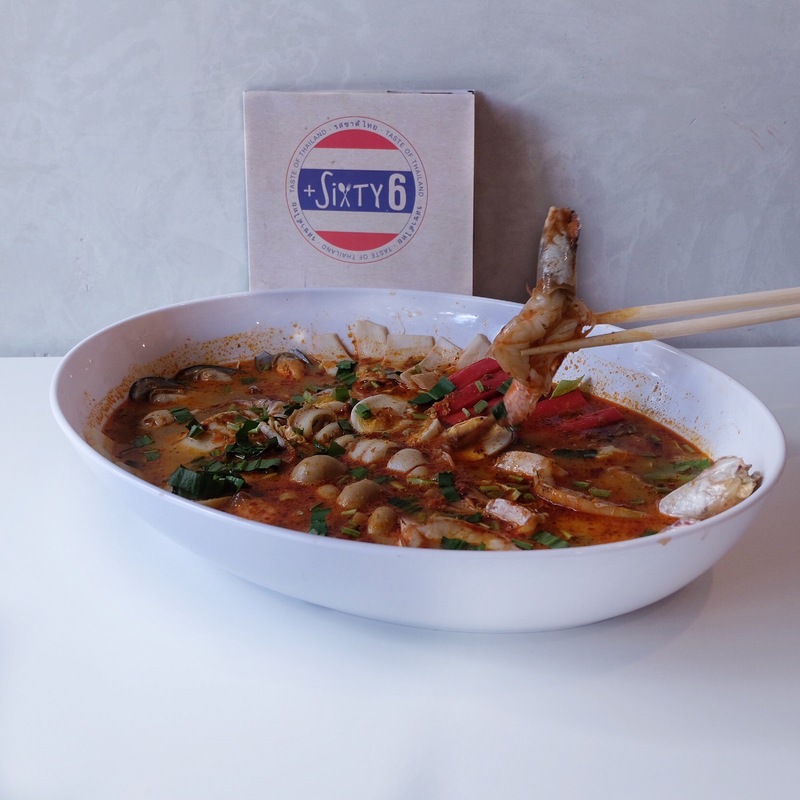 Plus sixty 6, a Thai restaurant located at short street, has come out with two new creation dishes that are available starting this Wednesday ( 9 March 2016)! Be the first to try these awesome dishes! We were astonished when we see the portion that was being served. 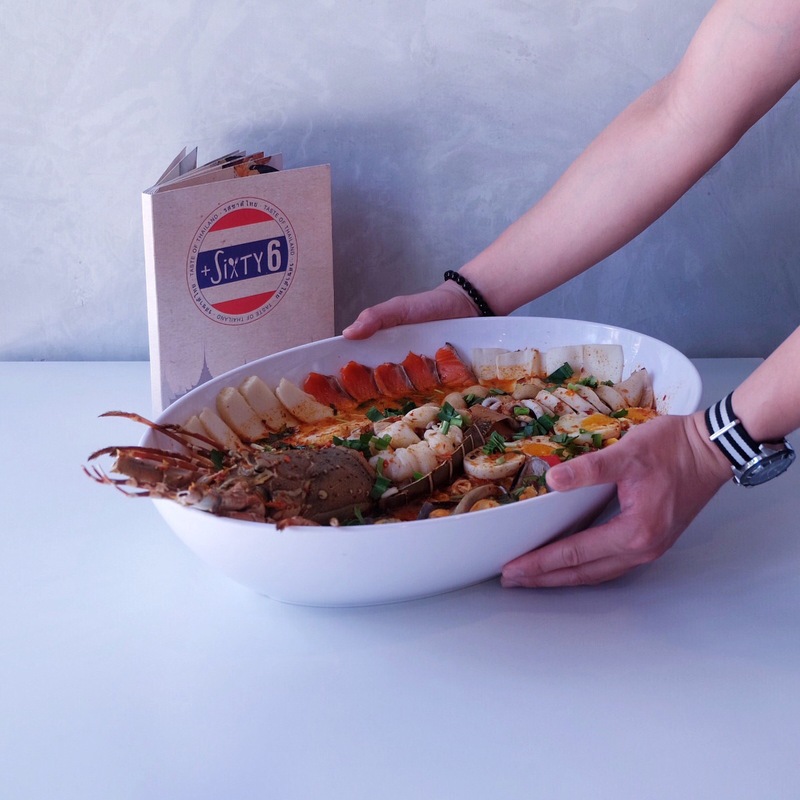 This jumbo dish could easily feed 4-6 people. We don’t even need to taste first, the presentation has already scored an A. 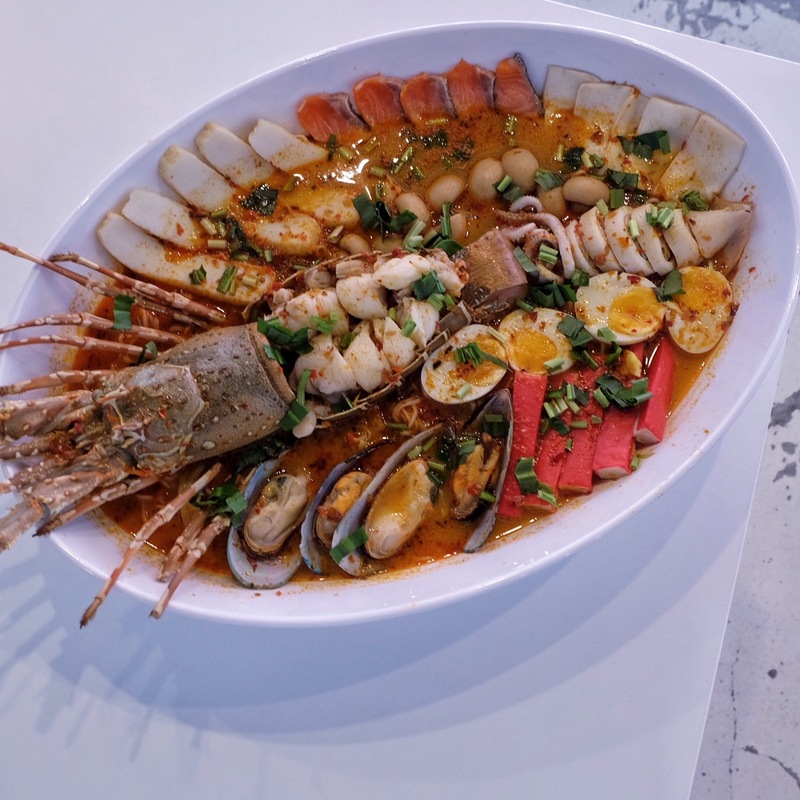 Lobster Jumbo dish consists of one huge lobster, Crab sticks, Fish cakes, Salmon slices, Squids stuffed with minced pork, Abalone slices, mushrooms, onsen eggs and mussels. The tom yum soup was very flavorful and appetizing, sour at the right level with a tinge of spiciness. Being a chili lover, I would think that the soup base wasn’t that spicy initially, but the spiciness actually kicked in after having a few mouthful of it. SHIOK is the word. Lobster was still tender and succulent despite heating up for the second time ( The dish turned cold as we took some time to snap photos) and that was pretty impressive. Onsen eggs were nicely done, and what caught my attention was the squid stuffed with minced pork. Squid was soft and not chewy and it blended well with the minced pork. Yes. This jumbo dish comes with noodle, huge plate of noodle. Another shiok moment when you are having maggie mee with spicy soup base. It just made the entire dish a perfect one. If you feel that lobster is too luxe for you or you are not into lobsters, you may opt for the prawn version. The ingredients are the same , just that they replace lobster with prawns. Then again, top up another $16 for a lobster, why not right? Either one is value for money because the quality is there. Won’t regret for sure!